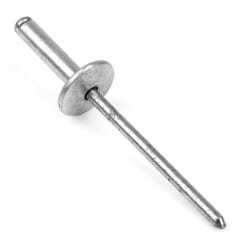 These rivets are common in use both in industry, and by the DIY. Their head is made of aluminium, and they have a steel nail. Since they do not have any uncommon features, they can be found in many lengths,and diameters, and tend to be rather economical.